New Delhi, Oct 25 (IANS) The Central government on Wednesday told the Supreme Court that it will extend till March 31, 2018, the deadline for linking Aadhaar with bank accounts, PAN, mobile numbers and other schemes for those who don’t have the unique identification number and are willing to go for it. Attorney General K.K.Venugopal said that the government will extend the deadline till March 31 after Chief Justice Dipak Misra, who heads the bench hearing the case, asked him if government was prepared to extend it. The existing deadline, extended by three months after the earlier deadline on September 30, is till December 31. “The government will be open for the deadline for linking Aadhaar to various programmes being extended for another three months till March 31, 2018, for those who do not have Aadhaar … and are willing to enrol for Aadhaar,” Attorney General K.K.Venugopal told the bench. Taking note of his statement, the court sought a clarification whether the government would desist from taking any coercive action against those not linking Aadhaar with bank accounts, PAN, mobile numbers and other schemes during this extended period. Venugopal said that he would come back and respond to the clarification sought by the court on Monday. However, he said that no coercive action will be taken. 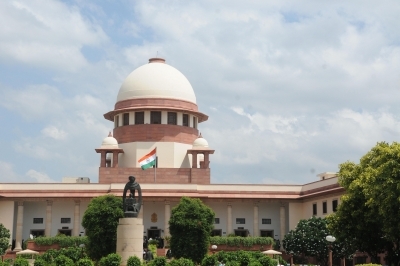 The court sought clarification as senior counsel Shyam Divan and Anand Grover appearing for the batch of petitioners urged the court that government should refrain from taking any coercive action not only against those who don’t have Aadhaar but also those who have but consciously not linking with Abank accounts, PAN, mobile numbers and other government schemes. He said that if the government assures on this point, they would agree for holding the hearing sometime in February next year, otherwise hearing should take place in first week of November as decided earlier by the top court. Referring to various complaints of banks making accounts dormant after account holder did not link them with Aadhaar, Divan told the court that Central Board of Secondary Education was insisting on Aadhaar for the students taking class 10 board examination. “Is this the stage of civil liberty that a school student can’t appear in exam without giving finger prints for Aadhaar,” Divan said insisting that the matter should be heard in the first week of November as it involved the constitutional rights of the people. On August 30, the bench of Chief Justice Misra, Justice Amitava Roy and Justice A.M. Khanwilkar had said that the challenge to the constitutional validity of the Aadhaar scheme would be heard in the first week of November. The court had fixed the hearing in the first week of November after the government told the court on August 30 that September 30 deadline for linking Aadhaar with bank accounts, PAN, mobile numbers and other schemes has been extended till December 31. The hearing on the challenge to the validity of Aadhaar was the next step after top court by its August 24 verdict had declared that the right to privacy was a fundamental right. The challengers contended that the state could not insist on the citizens to part with their personal data including iris scan and finger prints. Justice Rohinton Fali Nariman, who was on the bench of nine judges, had in his judgment said that the challenge to the validity of Aadhaar on the grounds of its being violative of right to privacy would be adjudicated by the original bench of three judges in the light of the decision elevating right to privacy as a fundamental right.